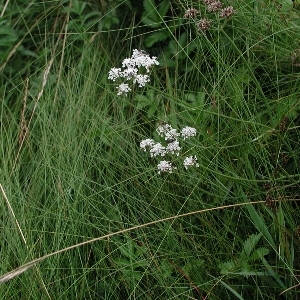 A perennial species of pools, flushes and brackish marshes near the sea, with solid stems up to 3 ft (90 cm) tall and twice-pinnate leaves with long narrow leaflets. White flowers are borne in umbels. 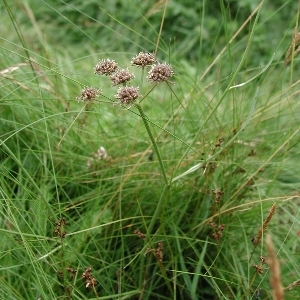 The plant is similar in general appearance to Oenanthe fistulosa, but that is a plant of inland wet places.